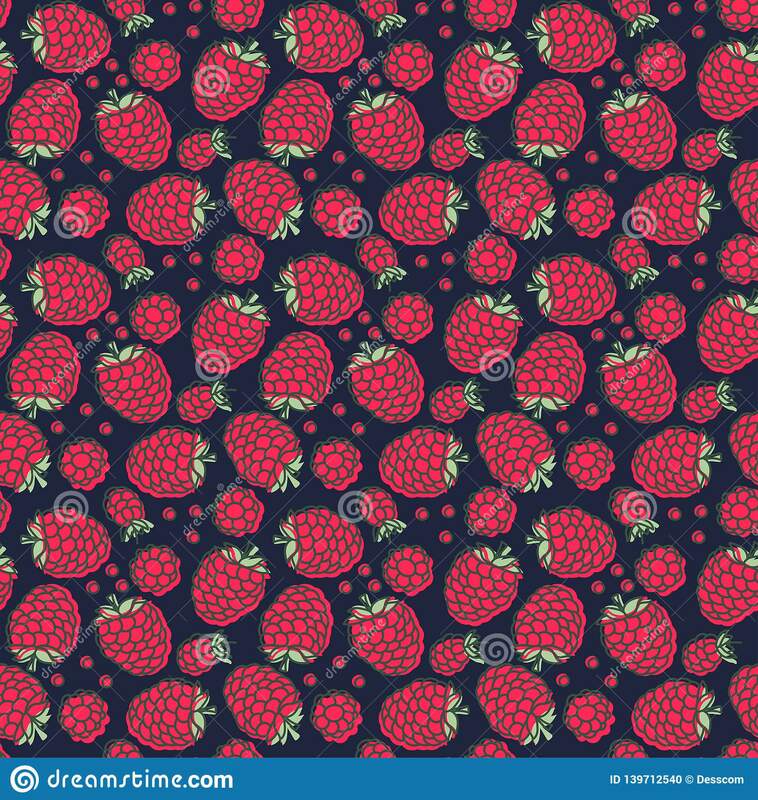 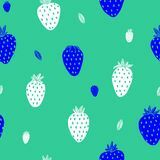 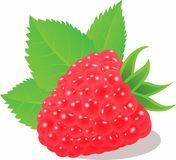 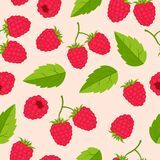 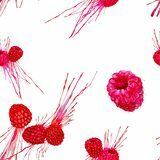 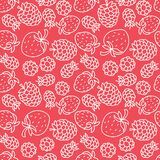 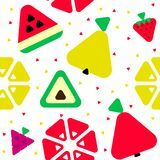 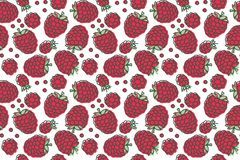 Raspberry seamless pattern. 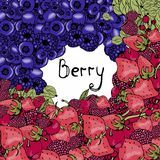 Hand drawn fresh berry. 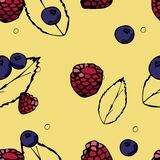 Vector sketch background. 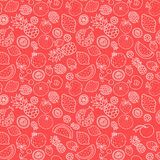 Doodle wallpaper. 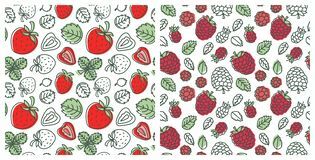 Red, dark blue and green print.